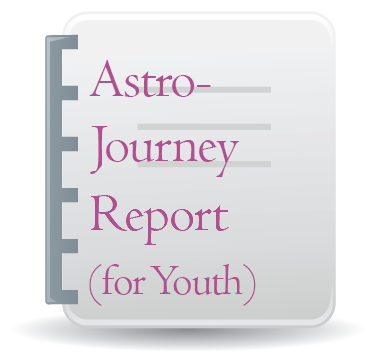 The Astro-Journey report is a transit forecast report running for one year that speaks to youth approximately 18 to 29 years old. This computerized forecast report is written specifically for today’s young adults, addressing issues and concerns for people from age 18 to 29, young adults prior to the Saturn Return at age 29, when full astrological adulthood sets in unequivocally. So much growth and change occur during these vital years in the search for self -realization, financial independence, the end of childhood, marriage and family, etc. Parents, too, pass through many changes as their children take flight. It can be purchased for those older or younger than the recommended age although the language of the report may require some adjustments for the reader’s specific situation. 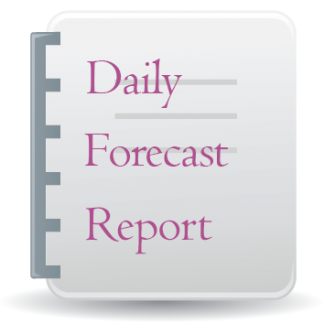 The author of this wonderfully written report is astrologer Kathie Garcia. This one-year report covers transits of the Sun, Mercury, Venus, Mars, Jupiter, Saturn, Uranus, Neptune, and Pluto to the same natal planets plus the Moon, Ascendant, and houses. The report runs for one year starting on the date of the order unless otherwise instructed. Please read more details below and see the sample of the report before ordering. The Astro-Journey Transits report is a forecast report that speaks to youth approximately 18 to 29 years old. This computerized forecast report is written specifically for today’s young adults, addressing issues and concerns for people from age 18 to 29–young adults prior to the Saturn Return at age 29, when full astrological adulthood sets in unequivocally. So much growth and change occur during these vital years in the search for self -realization, financial independence, the end of childhood, marriage and family, etc. Parents, too, pass through many changes as their children take flight. It can be purchased for those older or younger than the recommended age although the language of the report may require some adjustments for your specific situation. The author of this wonderfully written report is astrologer Kathie Garcia. This one-year report covers transits of the Sun, Mercury, Venus, Mars, Jupiter, Saturn, Uranus, Neptune, and Pluto to the same natal planets plus the Moon, Ascendant, and houses. The report runs for one year starting on the date of the order unless otherwise instructed. Please see the SAMPLE of this report before purchasing. At the exact moment of your birth, the planets were in certain signs, in a certain relationship to one another. To erect your natal chart, the astrologer takes a picture of that moment, as if the heavens froze! The story of your life is written in the working out of these energies over time. Some are harmonious and others are challenging. Astrologers are able to predict what will happen, when it will happen, and the duration of the effect by evaluating the impact of transits. Transits compare the positions of a planet on a given date with a planet or position in your natal chart. In your report, you’ll read the date on which a transit is exact on the left-hand side. This is when its influence is strongest. In parentheses, you’ll see the full duration of the influence, when it comes into play, and when it leaves. On the right-hand side, you’ll see the description of the transit which includes a transiting planet in aspect to a natal planet. For example, Merc Sxtil Ven means transiting Mercury is sextile natal Venus. Note that if you are a parent of a teenager or young adult, you can order this report along with a companion transit report that speaks to you as a guide at no extra cost. 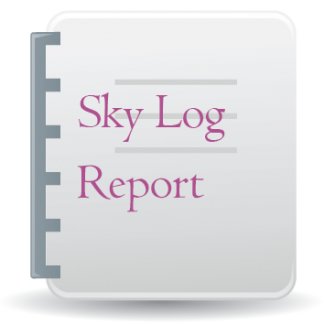 Please request the bonus companion report for parents of youth in a separate email to Kristen at [email protected] or in the order notes since it doesn’t come by default. See the full PDF sample of the report here. This influence is like having lots of money in your hands but not necessarily spending it wisely. You’ve got plenty of enthusiasm. But you could easily go too far, take on too much, promise more than you’re willing or able to deliver. You could get ripped off if you’re not careful. Someone older or in authority could disapprove of your actions or decisions. It could be hard to figure out the right move. If you believe in yourself, you’re more likely to obtain the support of others. If you feel full of yourself, you’re apt to make foolish mistakes. If you feel frustrated as to where you’re headed in life just now, wait this one out. A warm breeze caresses your heart. It’s easy to be good to yourself and to others. Share your feelings. Since creativity is enhanced under this influence, artists, cooks, musicians and entertainers are especially delighted. A positive attitude and a friendly smile add sparkle to any financial negotiations. All else being equal, parents and elders are receptive. They want to open the doors of opportunity for you. Love relationships formed under this aspect can often be built to last. Already committed? Bring this bounty to the one you love. Single? No matter. Beauty abounds. Oct 21, 2019 (Oct 20, 2019 to Nov 8, 2019) Mer 1st H.
Mercury passing through the House of self: Hyped-up communication. You’re plugged in, talkative, ideas come from all directions. Avoid needless arguments. Walking or physical exercise might help relax your mind. Peace. Busy, busy, busy! You should be able to get your ideas across with ease. Your communication skills are heightened. Gossip and idle chatter fritter away your energy. You’re juiced! You’re quick! Make those crucial phone calls, land that contract, get in the game! You’ll have no problem getting your point across now. Take advantage of this positive mental energy; a great influence for any kind of competition, all sorts of games, plugging into the computer, and interfacing with others. Positive action is potentially indicated with a roommate, sibling, cousin (or relative), or co-workers. Guard against impatience. You’re quick on your feet. This is a perfect time for brilliant ideas, startling revelations, new friendships, a novel approach. You’ve an extra dose of will power at your disposal. Take a moment and consider well where to direct it! If you’ve been restless for change, unless strongly advise otherwise, this may be the time p! Your keyword during this brief but promising cycle is breakthroughs! Chances are you’re very touchy these days. You could feel unloved or could even be unloving. You could feel lonely or confused about a relationship, about your romantic prospects, your financial situation or about life in general. During this time you can get in touch with your heart. Artists, dancers, writers and musicians are expert at turning the soul’s longings, even when unfulfilled, into inspiring poetry and images. The only lasting happiness comes from within. Don’t blow your cash on stuff you may not really want tomorrow. Oct 23, 2019 (Oct 22, 2019 to Nov 15, 2019) Sun 12th H.
Sun passing through the House of endings: Yesterday’s memories create tomorrow’s dreams; meditate on things unseen. Vanquish any shadows of fear by wielding the power of faith. Find that within you which is capable of mastering any situation that might come your way. Under Neptune’s imaginative influence, you might be inspired to meditate, paint, listen to music, or dance. Stretch your antenna, but beware. Neptune can blur your vision with emotional clouds almost unnoticeably, leaving you feeling confused, bummed or wiped out. This is certainly the case for those who allow themselves to be enticed into a magic carpet ride to Never-never Land by getting stoned or drunk. Hold back now to have no regrets later. If you’re feeling like pulling the covers over your head, try looking on the bright side of things. Resist the temptation to wear your problems. Rather, release the sense of struggle. Actually, much healing can happen now. Jot down momentary inspirations, interesting ideas, poems, songs and symbolic dreams. You’re sitting pretty, so take charge and do your very best. Your diligence and persistence pay off at work. Interactions with employers, professors, parents or other older persons are highly favored. You have an extra dose of self-confidence. That makes this a good time to get things done. Good eye-hand coordination and steady effort make almost any job doable. If you don’t get out and do something, all this energy could drive you nuts. How about at least hitting the gym to blow off some steam?